It’s been dumping in British Columbia, consistent in the Rockies, up and down in Europe and the Japan powder machine is at full throttle. December has been a good month for many parts of the US and the past week saw good snowfalls in the Sierras, Cascades and Rocky Mountain ranges. The most impressive falls over the past two weeks have been in the Pacific Northwest’s Cascades where two-week totals were up to 1.5 metres. California’s Sierra’s also had significant snowfalls in the lead up to Christmas, Squaw Valley reporting 30-35cms on Dec 23-24 with Christmas Day turning on some great powder turns. 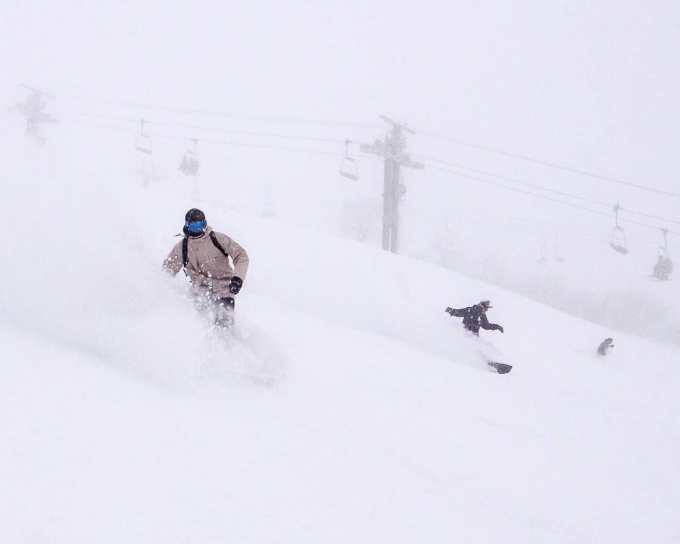 In Utah, a series of weak storms dropped 5-10cms at a time, but Boxing Day turned out to be the pick with 15-30cms of fresh snow. The resorts in the south of the state picked up the top totals and with cold temps and no wind, the snow was classic dry Utah powder. Jackson Hole didn’t miss out and had a couple of good days on Christmas Day and Boxing Day after a decent top up in the 36 hours prior to Christmas. 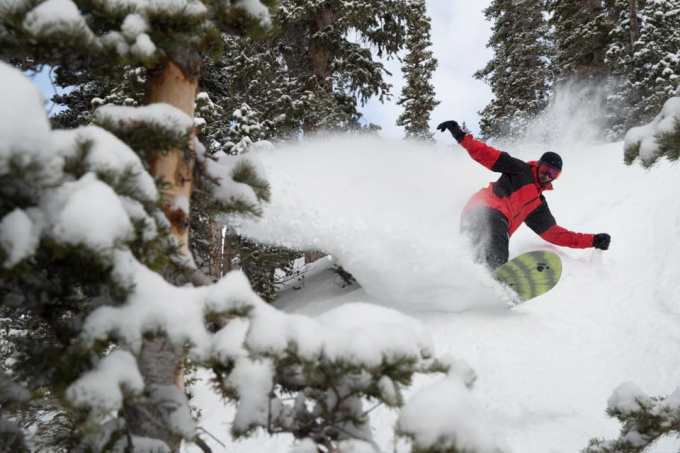 There were also consistent snowfalls in Colorado with 15cms on December 19, followed by snowfalls every couple of days in the week that followed with another 15cms in the southern mountain resorts such as Telluride on Dec 26. The forecast is calling for more snow in Colorado and Utah this weekend, nothing huge with only 5-12cms expected, but it is going to be cold with temps down to -12 Celsius. The forecast is for fine weather for Mammoth and Tahoe for the next week with the next chance of snow for California in the second week of January. 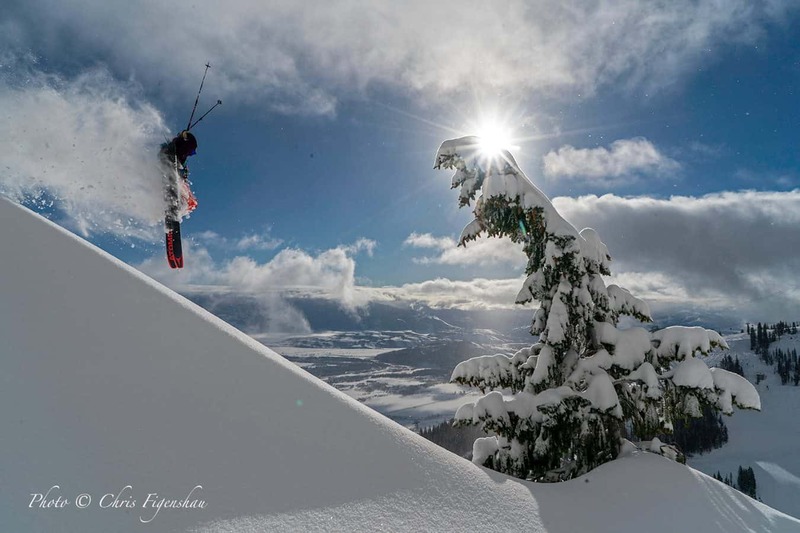 Jeff Leger, taking some relaxed air time in Jackson Hole, December 27. Further north in Hokkaido the snow has been more consistent throughout December, although there was also some rain last week. 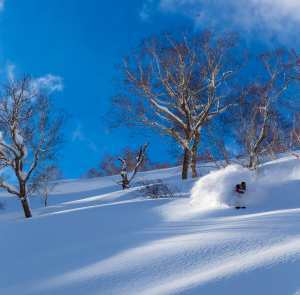 As expected the temps dropped and the past week has seen some classic powder days in Niseko and Furano which will continue in the final days of 2018 with more snow forecast over the next week. Nice way to see out the year. Fun day in Hakuba, December 28. Photo: Courtesy Central Snowsports. As we reported in our storm journal yesterday, the Coast Mountains in British Columbia have seen a tonne of snow over the past two weeks, Whistler receiving 210cms in 10 days. 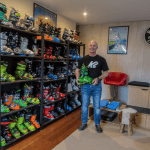 Mount Washington on Vancouver Island has also copped the full brunt of the storms, with 180cms in the past two weeks, the resorts’ head freeski coach, Australian Ben Murphy, describing the skiing as “insane”. Further inland, Lake Louise and the other Banff resorts have received some light snowfalls, but nowhere near the amounts seen in Whistler. Another storm is due to hit Canada over the next few days and once again the resorts in British Columbia, led by Whistler, are in line for good snowfalls. Unfortunately the snow totals for Lake Louise are lower with only 13cms forecast in the next week and it will be freezing, with day time max temps below -10 and minimums down to -22 Celsius. 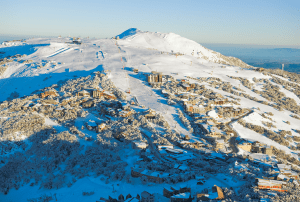 It has been an up and down winter for most of Europe with early season snowfalls giving way to warm temps and spring-like conditions at the end of November. 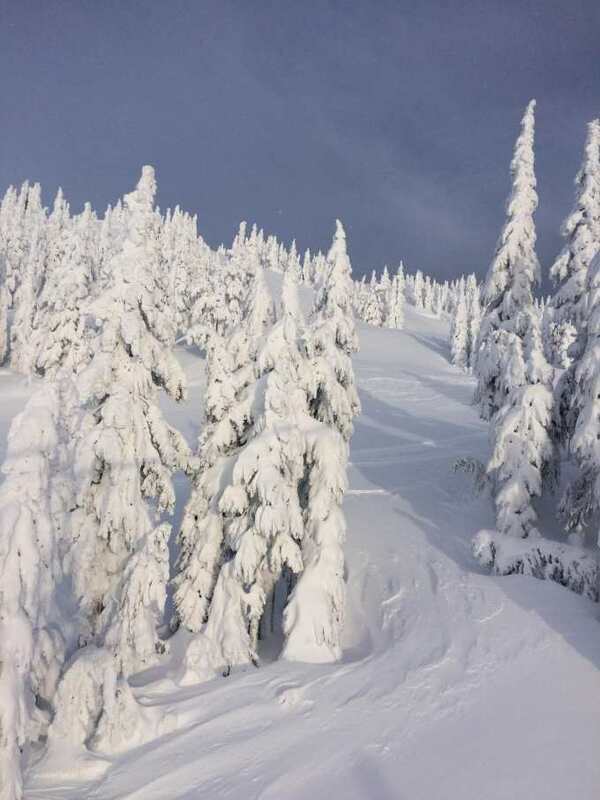 There were some significant snowfalls at the end of the first week of December, but once again warm temps led to the snowfalls being restricted to upper elevations. 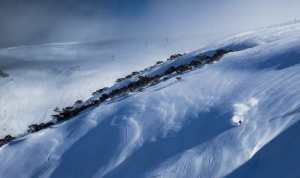 The past week has seen good snowfalls in Austria with reports of 20-60cm on Christmas Eve and Christmas Day, but the warmer trend on lower slopes continued and many resorts had rain at the base. 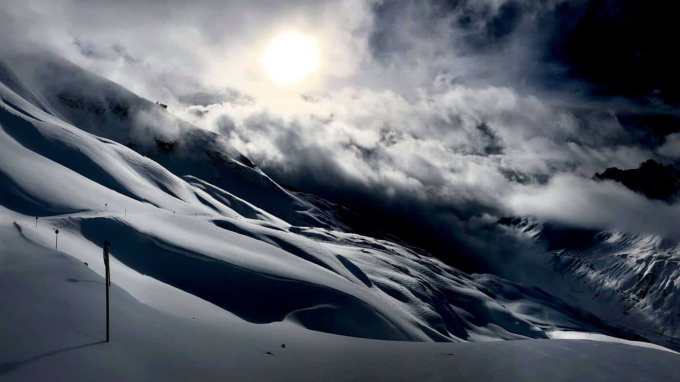 That seems to be a common thread in reports of this season’s skiing in Europe – a tale of two mountains with some sensational snow up high, but the lower elevations are pretty ordinary. 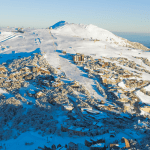 Some resorts in France and Switzerland also saw some decent snow this week with Tignes receiving 15cms while Andermatt has had a metre in the past 7 days and currently has the deepest base in the Alps. It looks like sunshine to see out 2018 with the next snow due next week. The past two weeks have seen consistent snowfalls in the US with California, Utah and Colorado all turning on some good days. The storm cycle in British Columbia has been relentless with up 2.5 metres of snow, but was accompanied with strong winds and poor visibility at times. In Europe it has been a mixed bag, and while there has been some great powder at upper elevations, a lot more snow is needed down low. That takes us to Japan, where the slow start on Honshu has finally changed gear with big snowfalls over the past 24 hours and there is a lot more to come. Same for Hokkaido with Niseko in line for 60cms in the next week. Myoko. 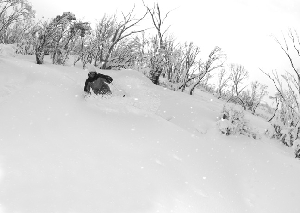 80cms in the past 24 hours and a lot more on the way. Myoko is one of the snowiest areas in Japan and it is going to be sensational over the next few days.